We are garage door repair technicians and experts in all services related to residential doors. With long, professional experience and continuous updating of recent developments in our industry, we can fix any door sold on the market of Ontario. Our company is located in Stouffville and serves the local needs of residents. From emergency adjustments and other repair work to the scheduled replacement of your overhead door, our Stouffville Garage Door Repair company offers full services. 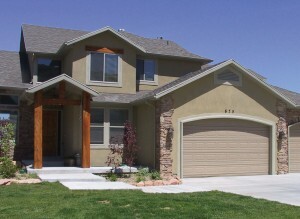 Let us explain why you should rely on our garage door company. It’s not accidental that our team has a very reputed name. Our efforts never stop when it comes to our trade. We are perfectly aware that garage doors and their openers keep changing and getting better over the years in terms of materials, technology and capacities. Customers need to know whether to choose wood or composite materials when they want to replace their home doors. They need to know more about insulated materials and which opener will be best for their door. We can help with everything. All technicians at our business, Garage Door Repair Stouffville, are updated, qualified, trained and licensed. We have the skills to install, repair, maintain and replace all doors and their operators, but still get up to date and train in accordance with every new product. Our technicians can repair and replace Chamberlain, Genie, Marantec openers and products by any other large opener brand. We also repair, service and install all branded doors and doors of any type. With extensive knowledge and long experience, our technicians can provide any garage door service. Our customers in Stouffville can trust that we offer services quickly. If you want to replace the garage door springs urgently or the cable has broken, you will have our assistance in a timely manner. Each truck at our Garage Door Repair in Stouffville is properly organized with the appropriate tools and a wide array of replacement parts. Every job is done at once whether you need cable repair or track alignment. We also install new openers and doors, offer maintenance and adjustment, lubricate and fix any problem once we troubleshoot and diagnose problems. With our company by your side, emergency garage door opener repair requests and all related matters are handled professionally.